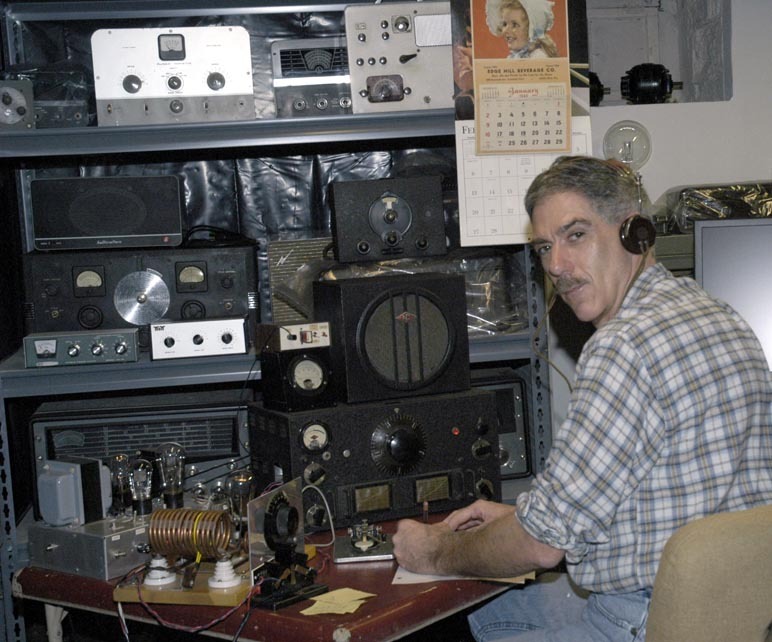 Bruce Kelley 1929 AWA QSO Party, November 28-29, December 5-6, 1998, WA3DSP operating a hartley transmitter using a 210 and a 201A regenerative detector. 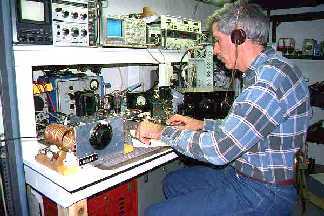 Bruce Kelley 1929 QSO Party, December 3-4, 10-11, 2006, 210 Hartley and HRO receiver. Part of museum in background. Audio in browsers varies greatly. One of the methods below (wav, wma, or mp3) should work in late edition Firefox and Explorer browsers. Some of these files are quite large so please wait for them to download! It some cases it could take several minutes. The next two files were made with an acoustical cassette recorder and are not great quality but since it is the only recording we have of some of these people I am including them. My former company, Innovative Instrumentation, Inc. Need a manual for any electronic item? Even Antique. Check out A. G. Tannenbaum. They can get just about anything! Also Ludwell (Lud) Sibley has a new book out called "Tube Lore" which is great for those requiring information on vacuum tubes. 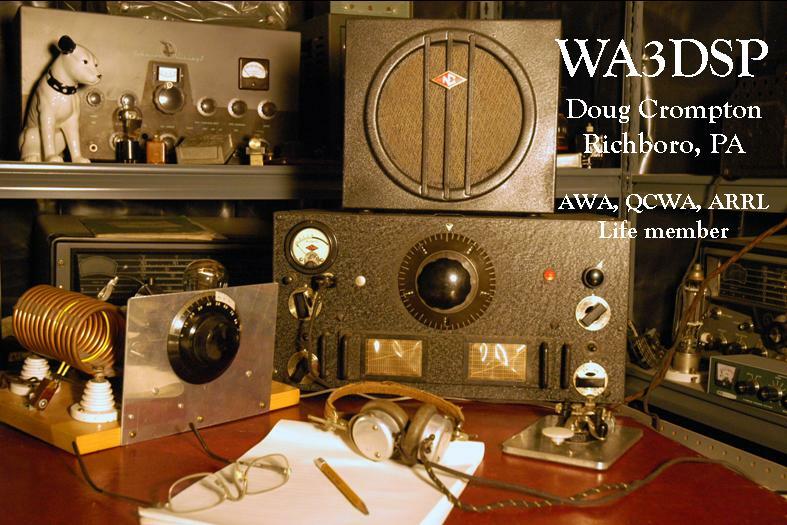 This and many other old radio books may be ordered from the Electric Radio Magazine website.